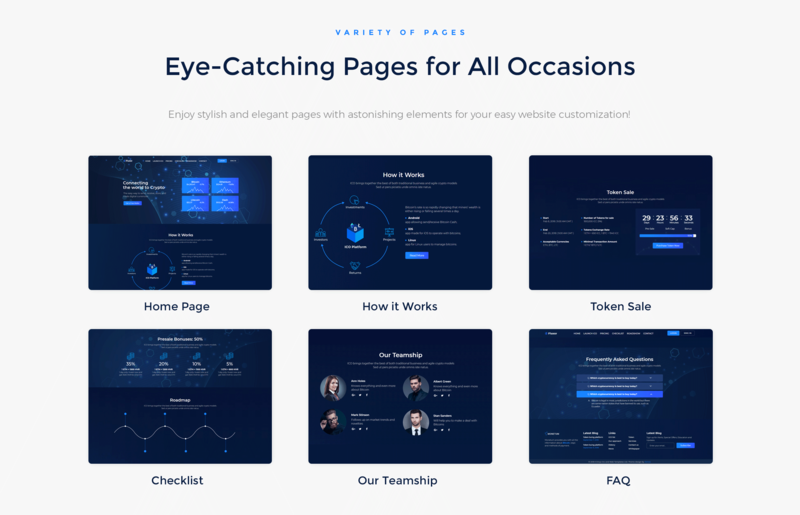 Create a professional website presenting cryptocurrency services using Fluxor. 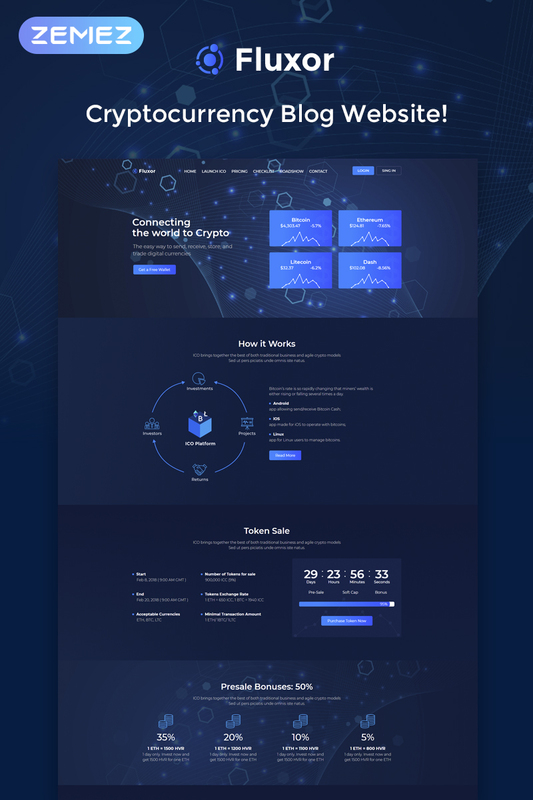 You will be able to inform people about the latest news of crypto world and the easy way to send, receive, store, and trade digital currencies in the most attractive way with Cryprocurrency WordPress theme. Your site will become more powerful and informative thanks to a strong functionality of the theme. It is equipped with a great Jet plugins bundle, which will help to customize layouts of the pages and add effective elements to them. JetElements plugin will provide you with perfects widgets for enriching your content according to your needs and vision. You will be able to organize the content into stylish tabs and accordion blocks using JetTabs plugin. You will add attractive items in headers and footer thanks to JetBlocks plugin. You will create a magnificent mega menu with drop-down sections and style up their appearance in few clicks with JetMenu plugin for Elementor page builder. Moreover, there are Cryptocurrency plugins, which will give you an access to useful tools. 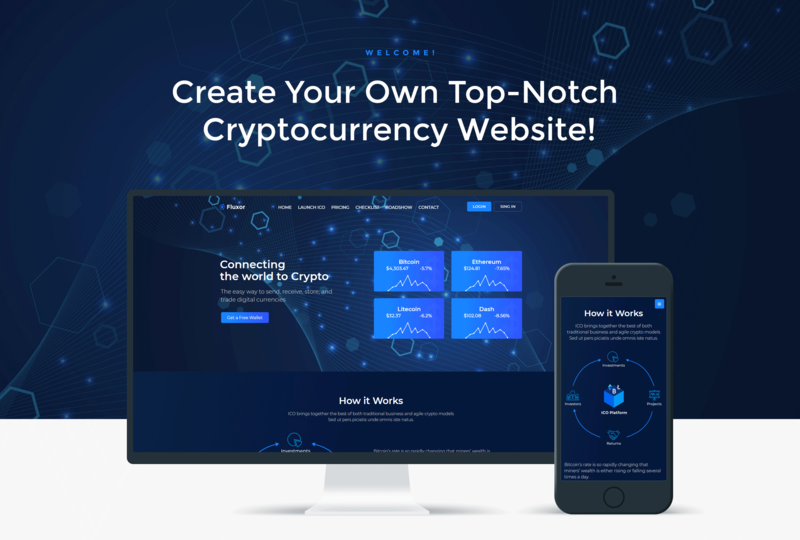 Boost your business popularity and attract more visitors to your site using a responsive Cryptocurrency Investment theme.